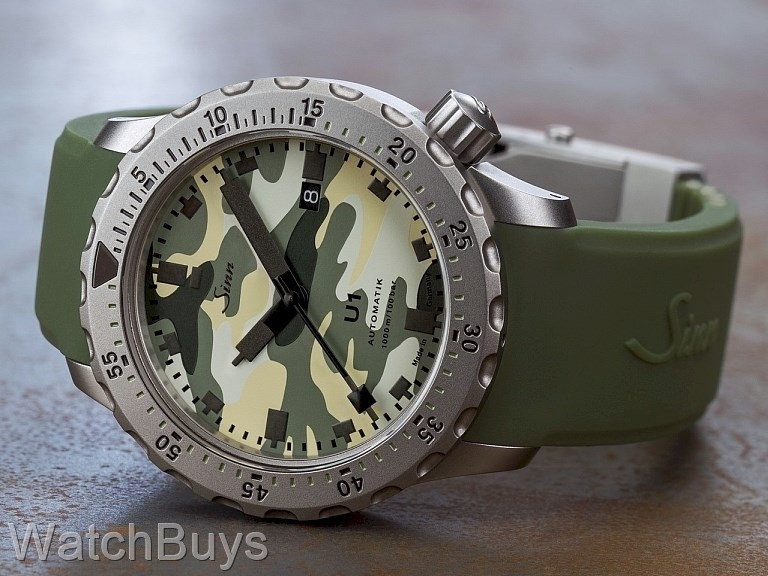 This is one of Sinn’s most interesting U1 models featuring a camouflage dial in a limited edition of 500 pieces worldwide. 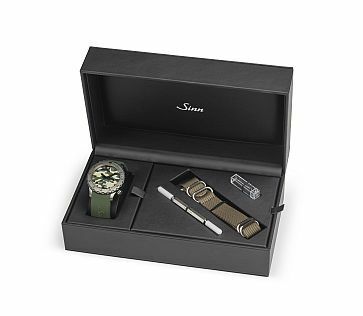 The Sinn U1 Camouflage also features special packaging, and includes a green silicone rubber strap with locking buckle, a brown textile strap, strap changing tools and additional spring bars. The technology and design elements used to create the Sinn U1 Camouflage limited edition go far beyond standards used at most watch companies. The case is made from the same steel that is also used in the construction of the outer hull of submarines. The steel was procured by Sinn from a steel supplier to Emden GmbH, one of Germany's North Sea shipbuilding yards who construct submarines from the very same steel. 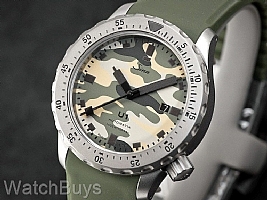 The camouflage pattern dial with date at 3, black SuperLuminova on hands and markers, and black seconds hand complete the design. This watch is water resistant to 1,000 meters and is also resistant to the effects of salt water.